A trademark may die if it becomes generic. The benefit of a trademark is that it allows the public to identify a product made by a particular business. Genericity occurs if the public begins to use the trademarked name to identify an item instead of a particular brand or manufacturer. If this happens, people no longer associate the product with a particular business, and thus the trademark no longer has meaning. For example, "thermos" is no longer an active trademark because the public widely used the term to describe insulated containers from different manufacturers. Trademarks die if abandoned by the owner. Abandonment is construed from the actions of the owner, so the exact circumstances of trademark abandonment may vary by case. Not using a trademark for three years or more is usually considered abandonment. A trademark owner is responsible for watching other entities he licenses his trademark to. Since his mark is supposed to represent his product, he needs some measure of control to make sure the licensee is producing that product. For example, an owner of a store chain may license his trademark to a person who bought into the franchise, but he must have some sort of supervision and quality control program in place for the franchisee. If he doesn't, some courts may view this as relinquishing the trademark, effectively killing it. Trademark problems arising from poor licensing are usually decided on a case-by-case basis. Although a trademark owner can assign all ownership rights to the mark to another party, there must be a sale of assets involved or he risks killing the mark. Assignments without an accompanying sale may result in a dead trademark because the trademark no longer appears to be fulfilling its purpose. The purpose of a trademark is to identify a specific product. If the owner sells the mark only, the mark will no longer represent the product it was intended for. The owner of a dead trademark registration may still be able to enforce his rights. Trademarks don't require federal registration, but registration with the U.S. Patent and Trademark Office makes it easier for owners to enforce their rights to the mark. Without a valid registration, the owner may still be able to prove the mark is active and alive in court under common law rights, which are rights that don't require formal registration for legal enforcement. 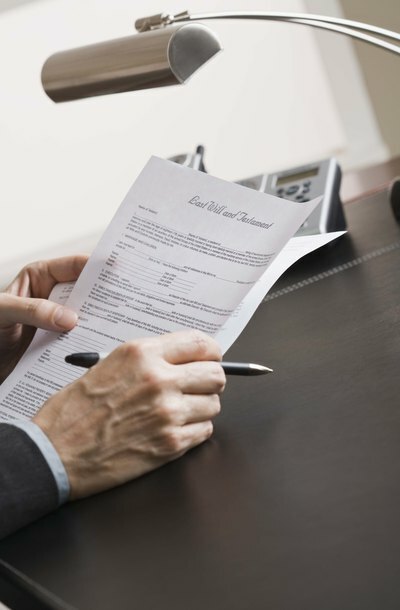 An owner may revive a dead mark if the registration lapsed through no fault of the owner's. For example, if the U.S. Patent and Trademark Office cancels a mark's registration based on the belief that the owner didn't respond to a request from the office but the owner can prove that he did respond, the office may revive the mark. A dead trademark may come back to life through revitalized branding. A dying or dead brand is resurrected, often by another company, and the trademark comes back to life as a result. Since the public may remember the trademark from its active days, the new owner benefits from the lingering brand recognition. All trademark names generally qualify for trademark protection. Basic trademark protections automatically apply to a trademark once it's used in the marketplace, to identify and distinguish a company's specific goods or services. The first company to use a unique identifying mark on its goods in commercial trade secures trademark rights in the mark. Trademark names include a variety of original words, phrases, signs and symbols. However, generic names, surnames, regional names and merely descriptive names do not qualify as trademarks. The trademark owner may chose to register the trademark with state and federal trademark offices. The U.S. Patent and Trademark Office processes all federal trademark registration applications.